The Hastings house was built by Jim Hall for Frank Hastings in 1908. 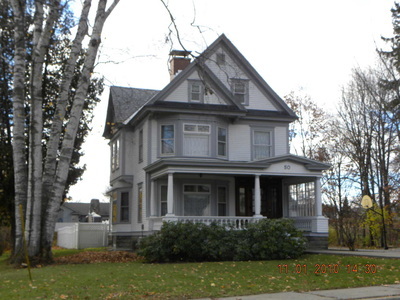 This house has been used as a rooming house. 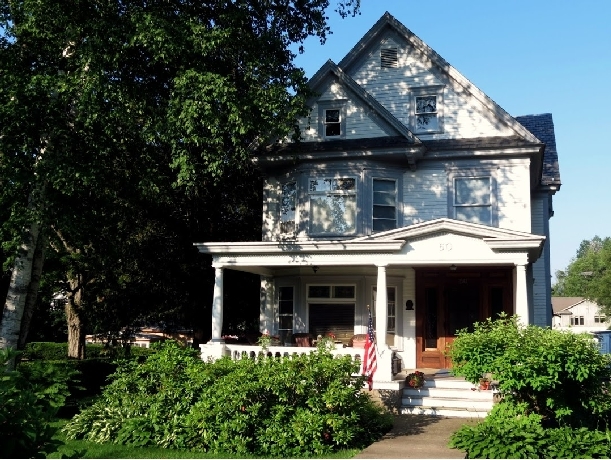 This contributing, c.l908 residence is an intact and distinguished example of early twentieth century residential architecture reflecting Queen Anne and Colonial Revival-style elements. 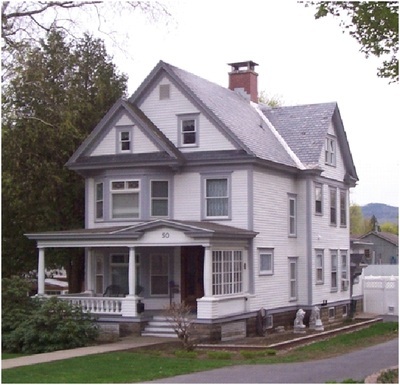 This 2-1/2 story, wood frame building features cross-gabled design with large, center, brick chimney and asymmetrical fenestration utilizing 1/1 sash. 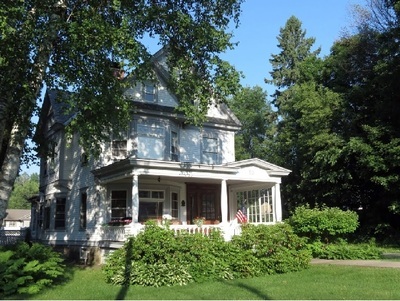 A distinctive 1-story porch with classical columns and turned spindles is an original feature. 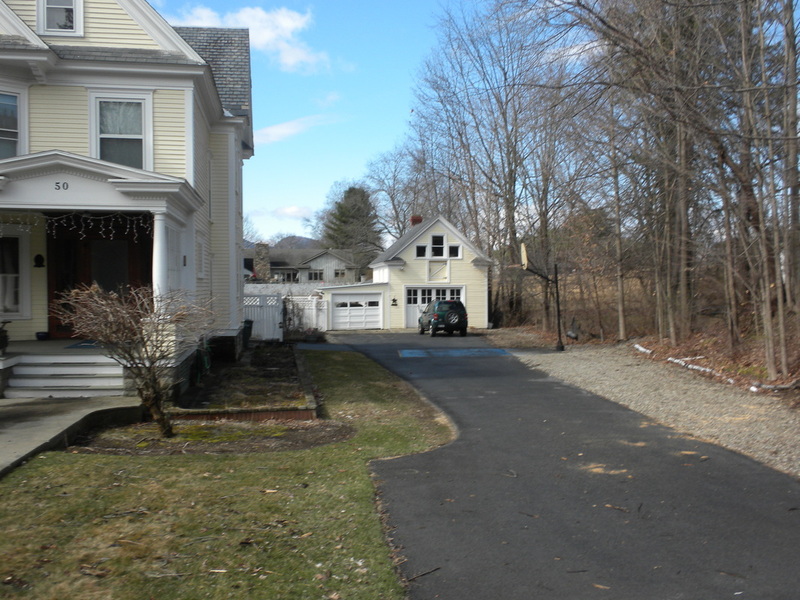 A contributing, clapboard-sided outbuilding is to the rear of the property. Substantial asymmetrical massing and fenestration, multiple roof lines, large windows having one over one sash, bay windows, large porch, monochromatic wall with prominent contrasting trim but little of the more precocious details of Queen Anne. Frank Hastings, son of Rufus D. and Mary Sage Hastings, was born in Nebraska in 1879. His parents were originally natives of Warren County and returned when Frank was an infant. He received his education in the Warrensburg Academy. From 1898 to 1903 he was employed in the J. P. Baumann shirtwaist factory, but left to enter the insurance business. He became an agent for the New York Life Insurance Company, working almost until he died in 1966 at the age of 86. He married Clara Prosser in 1905 and in 1908 he built his home at 50 Elm Street. In the 1920s and 30s Clara took in boarders there. They had two children, John and Grace. 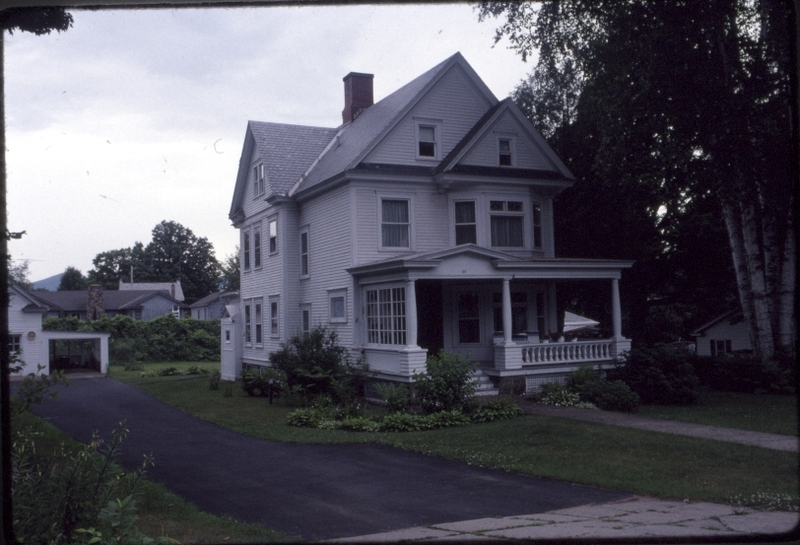 Following a teaching career in Connecticut, Grace lived there until her death.